If you’ve been reading my blog and been following on my adventures (which I hope you are), then you probably know how I adore Palawan. The beautiful beaches, amazing lagoons, crystal clear waters and abundant marine life…. Palawan is definitely a paradise! Another place that you can visit in Palawan is Puerto Princesa. It is a coastal city that is home to the famous Palawan Underground River. 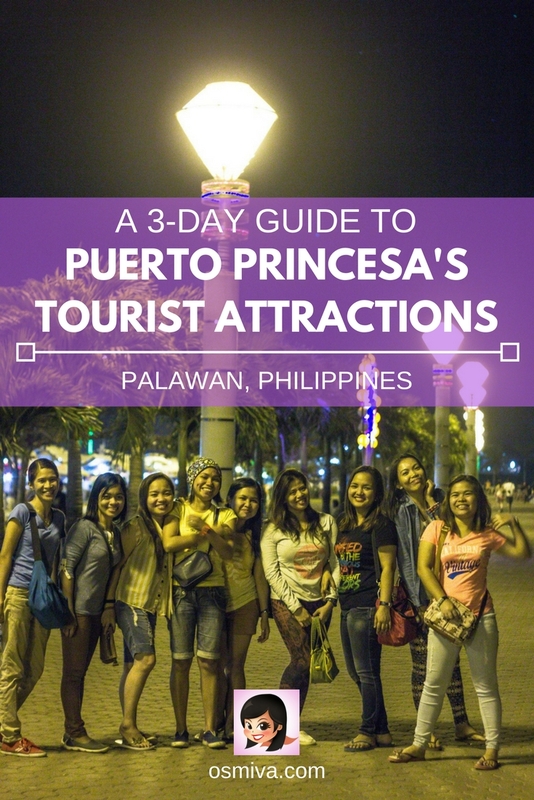 Aside from the underground river, there are indeed a lot more that Puerto Princesa can offer. More tourist attractions to see and feel! Puerto Princesa has been dubbed as the ‘City In a Forest’ and a visit will help you understand why it’s called that way. 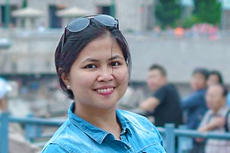 The locals and its LGU (Local Government Unit) have put great effort in ensuring the preservation of the city’s natural resources and in maintaining its cleanliness. A hard feat for most, to be honest. Going to Puerto Princesa is pretty easy. There are direct flights from selected cities in the Philippines or you may opt to travel by sea. Once there, you can use the local tricycle, multi cabs, jeepneys or mini-bus to navigate your way around. I have been to Puerto Princesa twice before. There are indeed a lot of attractions that you will need to visit to get a feel of the city and what it has to offer. On both times, we hired a travel agency to take us to several tourist attractions. This includes the Underground River. We have also tried exploring it on our own including those within the city proper. It is more cheaper and the city is easy to navigate. 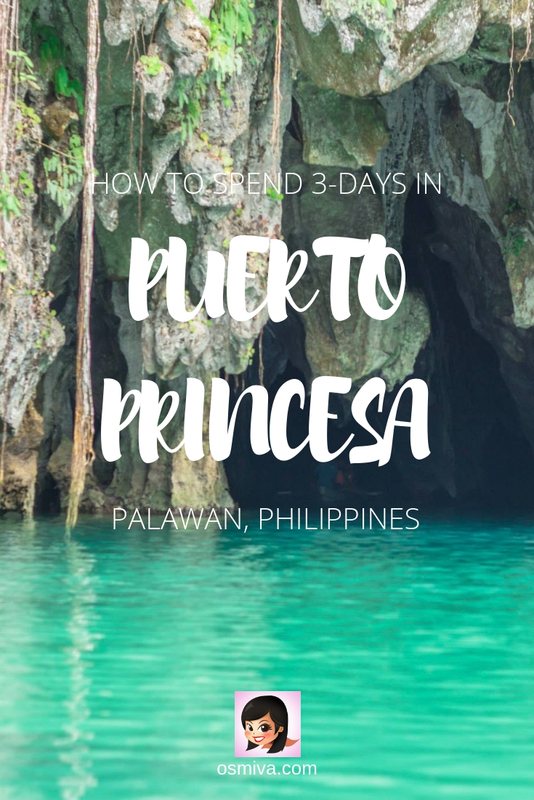 So for this post, I am going to list down several Puerto Princesa attractions that you should try. We did this trip for 2-3 days (both my first trip and second trip as I was still working at an 8-5 job then). You can mix and match, depending on your preference, of course. Check this out to help you in planning for a fun getaway, may it be traveling with friends or traveling solo! 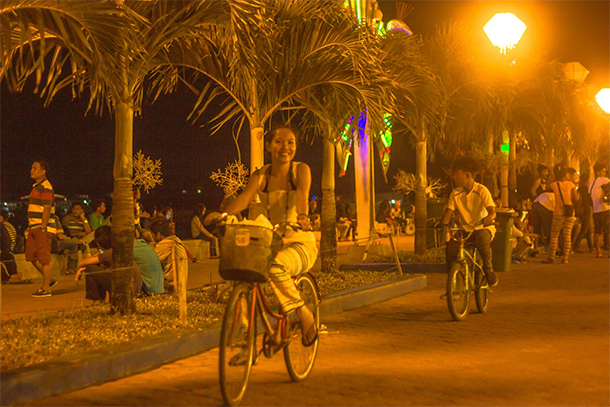 One fun Puerto Princesa attraction that you should definitely try is biking at the Baywalk. It’s within the center proper. You can just hire the local tricycle going there. Fare may vary I guess depending on your location. We were already near the city center when we hired a tricycle to take us there. Our fare cost at around 10 Php (0.20 USD). Bicycles (with or without side-seat) can be rented here depending on the size starting from 100 Php (1.96 USD). It is best to bike around the Baywalk at night as it is not too hot or too cold. 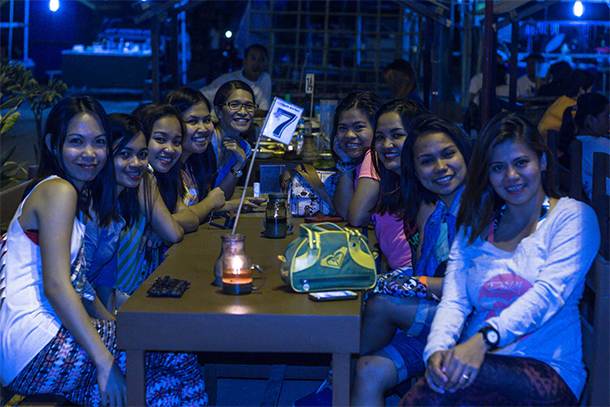 There are plenty of dining options too at the Baywalk that you can try. 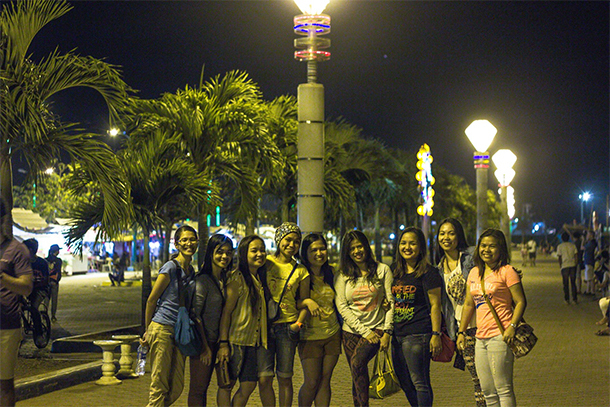 I’ve been to Puerto Princesa’s Baywalk twice – we tried biking during our first visit. Well, to be honest, they biked while I sat. I don’t really know how to bike. haha! On the second visit we opted to dine only on one of the stalls. You may try this on the day of your arrival since it is within the city just like we did. Take your dinner here, relax and prepare for the next day’s adventure. 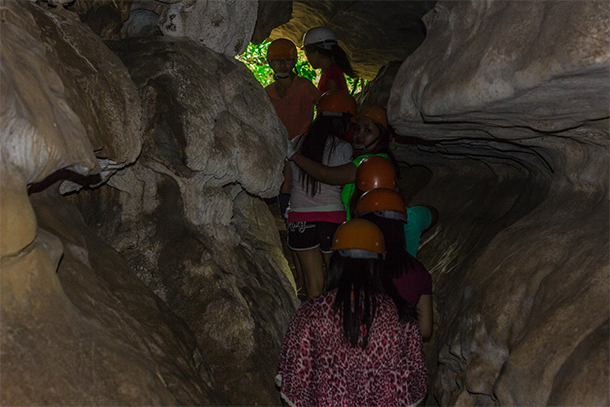 A visit to Puerto Princesa isn’t complete without a tour of the famous Puerto Princesa Subterranean River National Park. It has been recently hailed as one of the New Seven Wonders of Nature, so a definite must-try Puerto Princesa Attraction. 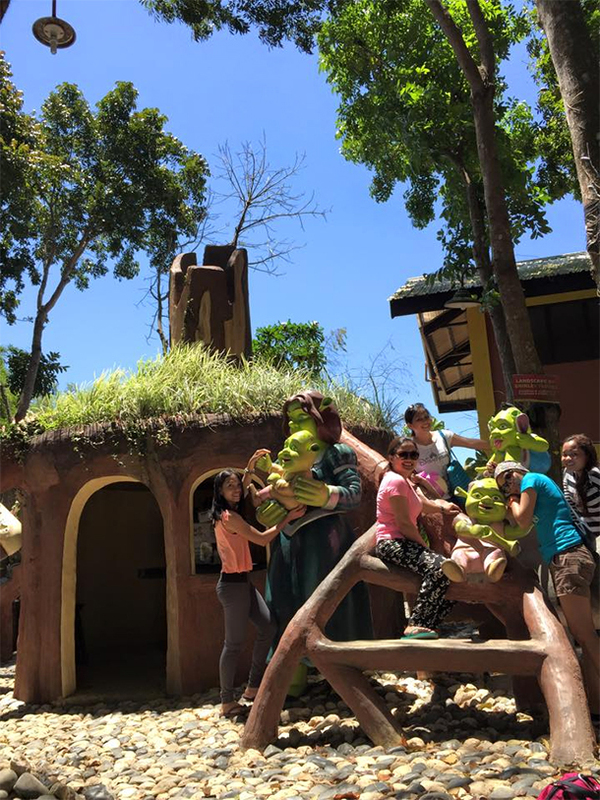 Tour rates start from 2200 Php (43.05 USD) for adults and 1500 Php (29.35 USD) for children at the age of 3-7 years old. Below 3 years old are already free. Please keep in mind that the rates may vary depending on the tour inclusions :). For your guidance, the usual inclusions are air-conditioned van, boat transportations, pick-up and drop from your accommodations within the city proper, licensed tour guide, entrance fees and terminal fees and of course the lunch buffet. 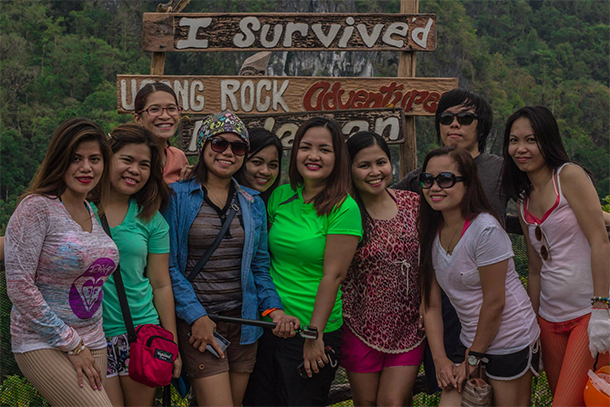 Plus a side trip to the Ugong Rock Adventures in Brgy. Tagabinet. 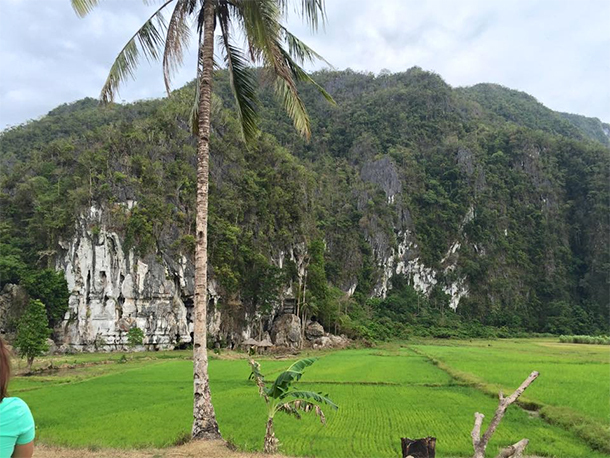 Ugong Rock is a limestone rock formation which stands 75-feet high in the middle of a rice field and karst mountains. A hollow limestone inside the cave makes an ugong (which means drone/ buzz) when tapped, thus the name Ugong Rock. An orientation is conducted prior to starting the adventure. We were provided with helmets and gloves to be used during the entire activity for safety. It is a cave and sharp edges are expected. The cave is a bit tight with areas that you need to squeeze into to gain entry. But it was alright. I am claustrophobic and this activity was pretty cool and did not trigger any unwanted issues to me. LOL. The tour took around an hour or two which includes climbing and crawling. There were several wooden stairs that you will need to take so you have to be careful. And this propelling type of activity to get to the top. Once on top you will be rewarded with a 360 views of the surrounding landscape. They offer a zipline activity through rice paddies in order to get down. You don’t have to try it though if you don’t want to. There is another option that you can choose. It’s an additional cost, by the way, but it was fun! 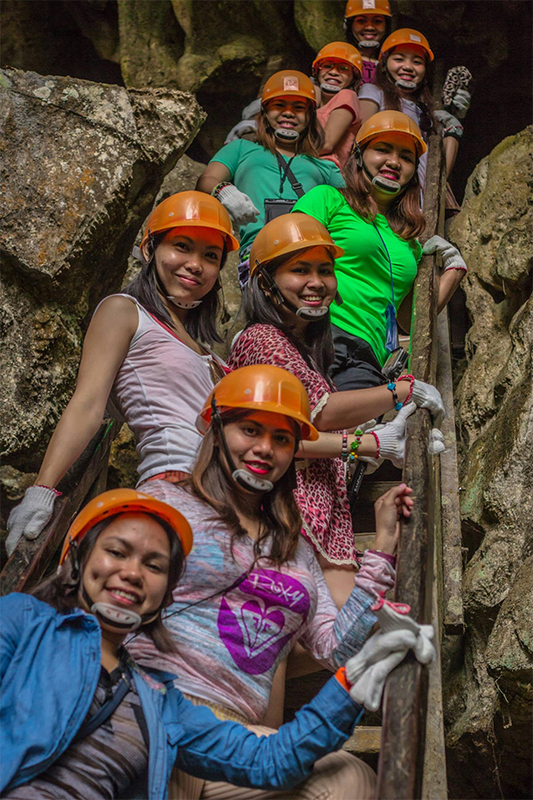 Entrance Fee to the Ugong Rock Adventures is at 200 Php (3.91 USD) and the zipline costs at around 250 Php (4.89 USD). If you’re on tour, then the entrance fee will be included on your package. The zipline, however, was not. 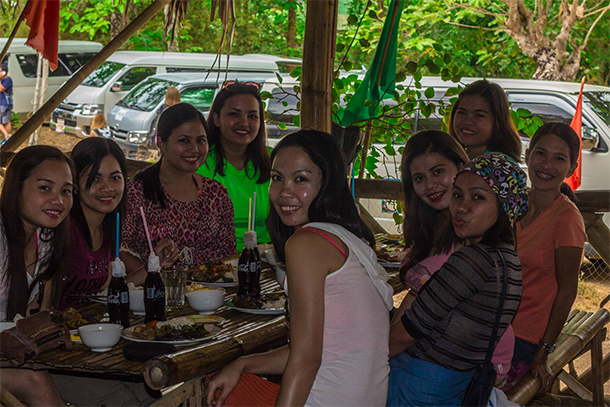 After our adventure at the Ugong Rock, we were taken to the Sabang Wharf for a quick lunch. After eating we were assigned to a small boat that would take us to the National Park. There were a lot of people also waiting for their turn to do the tour of the Underground River, as expected. Please take note that it is important to pre-book a tour to the Puerto Princesa Subterranean River National Park because the tours are limited per day. A small lamp was as our only light throughout the tour as it is pretty dark inside. Our guide was very entertaining. He explained some interesting facts about the river and pointed out uniquely shaped stalagmite and stalactites which drew amusement and laughs from us. Photos cannot really give justice to the beauty inside the park.. You just have to be there to see it! 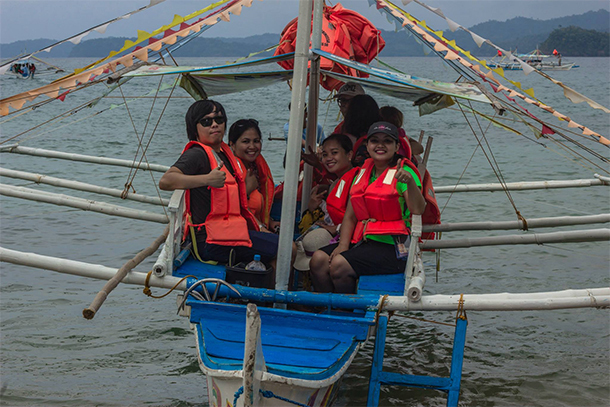 A visit to Puerto Princesa is definitely not complete without the island hopping. We did it on both of our visits. 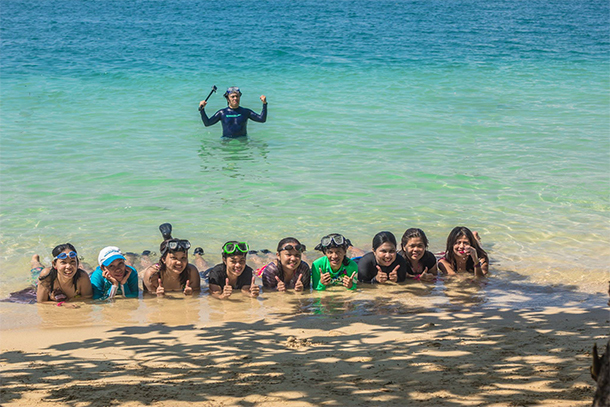 Puerto Princesa’s Honda Bay is another Puerto Princesa’s attractions that you should not miss. It’s a popular tourist attraction with plenty of islands that you can choose from. Because of the travel time, not all islet can be visited during a single Honda Bay island hopping tour. There are limits to the number of islands that you visit so it is important to talk to your guide beforehand if you have a certain island request. Certain fees apply and are already included in your package if you hire a travel agency. 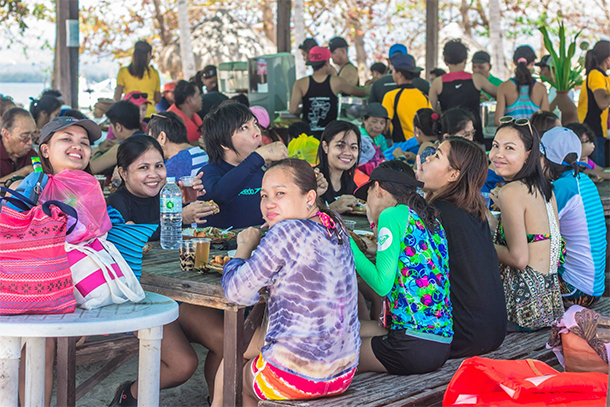 Aside from the entrance fees to the island, the package usually also included the tour guide and lunch buffet. Personally, I would recommend getting a travel agency for this to avoid hassle as transportation from your hotel to the Sta. Lourdes Wharf and vice versa may be more expensive and may take time. Cost for a Honda Bay Island Hopping Tour starts at 1,300 Php (25.44 USD) to 3,000 Php (60 USD), depending on the agency and tour package inclusions. It is advisable to compare prices to avoid expensive travel mistakes. Island Hopping takes up several hours to enjoy it most, so be sure to allot a day or two if you want during planning of your itinerary. Starfish Island – pretty known for the numerous starfish that you’ll be able to see. Luli Island– short for ‘Lulubog-Lilitaw’ which means that it appears and disappears during low tides and high tides. 4. Cowrie Island – breath-taking stretch of white sand with several amenities to accommodate your basic needs. 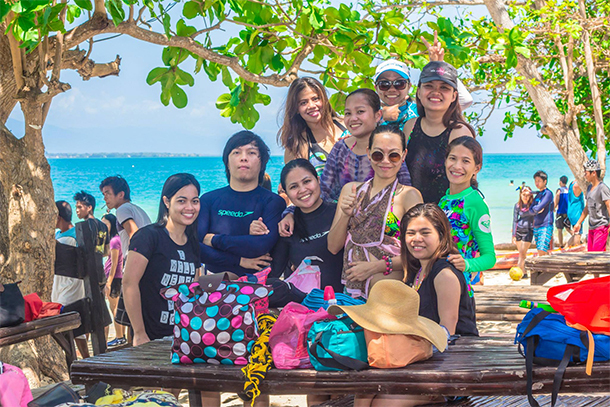 We also got a chance to check out the Pambato Reef on our first visit to Puerto Princesa. There is no island here, but a floating turtle-shaped cottage. You can feed fishes here and snorkel around while enjoying the numerous corals. So yeah, if you’re looking for a little sunburn and a lot of fun, an Island Hopping tour in Honda Bay is the best way to go! 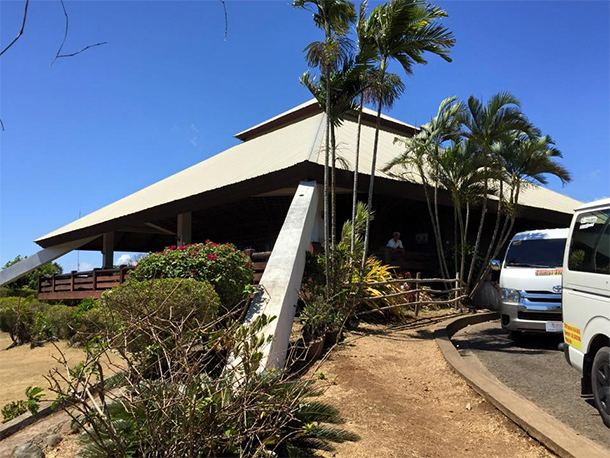 If you’d rather explore a luxury island resort, then a Day Tour to Dos Palmas Resort can also be another option. We haven’t tried the Day Tour, but we did stayed for 2 nights in the resort during our 1st visit. The resort has a pretty relaxed ambiance that you will love. Cost for a day tour is at around 2,280 Php (44.61 USD). 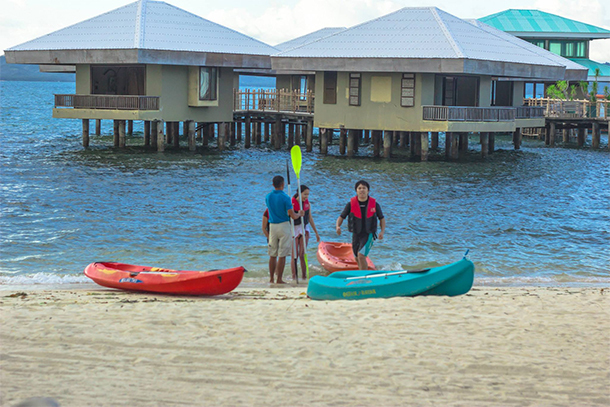 Facilities such as kayaking, snorkeling and ball games are available for guests. I must say, snorkeling here is definitely a must-try. They have one of the best snorkeling sites I have seen so far. 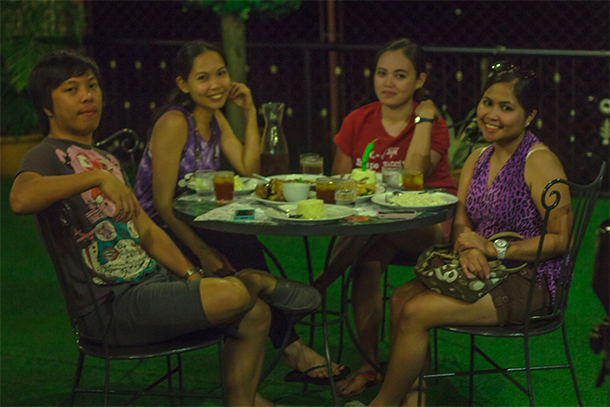 On our last night in Puerto Princesa, we tried one of their famous restaurants in the city: KaLui. 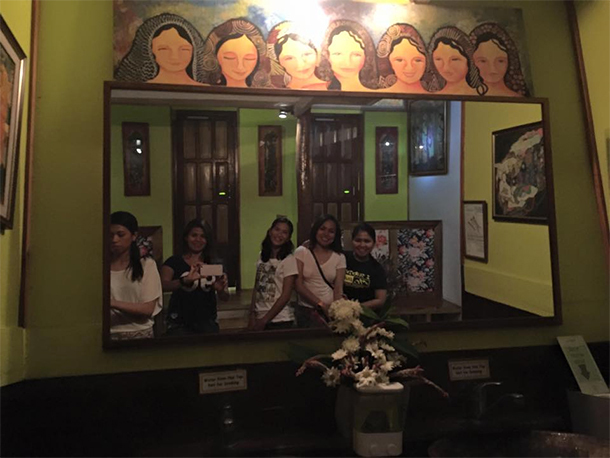 Puerto Princesa’s KaLui is a must-try that you shouldn’t miss. 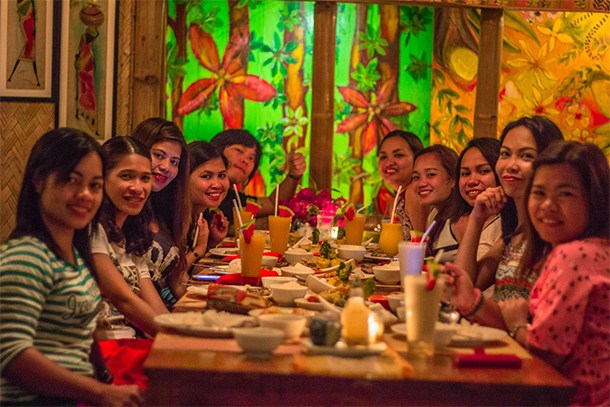 It’s a pretty popular dining spot in Puerto Princesa that you will need to book in advance. Prices are alright and pretty standard for restaurants like this so you wouldn’t really worry about it, not unless of course you are in a very tight budget. The food is pretty good and the restaurant has a unique interior. Not unlike the restaurants that we’ve tried in Coron. You’ll get a field day taking pictures of their set-up and numerous displays. Plus they have a unique and clean rest room. Which I consider as a big plus factor as this is not very common to other restaurants of this type. On our 3rd and last day, we decided to do a quick city tour. Our flights were leaving later in the afternoon and so we figured that this is the best way to spend the day. 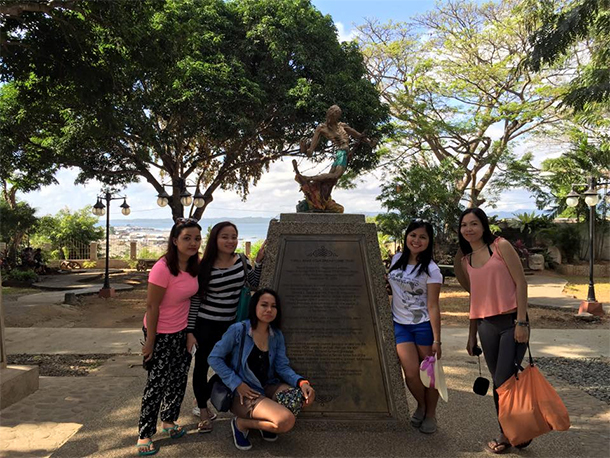 We visited some spots before during our first trip here, but did not see all attractions that the city of Puerto Princesa has to offer. If you’re thinking of hiring a travel agency for this, price starts at 600 Php (11.74 USD) per person which usually includes the air-conditioned van, entrance fees and guide. The spots are quite far from each other, so if you’d rather do it yourself (DIY), then you may as well rent a tricycle (just like we did in Coron!) that is good for 5 persons max. Price ranges for 300 Php (5.87 USD) to 500 Php (9.87 USD), so be sure to haggle ;). As for us, since we were leaving in the afternoon we opted to still get a travel agency as we had our luggage with us and didn’t want the hassle of commuting especially when running late. Our first stop was to the Immaculate Concepcion Church. 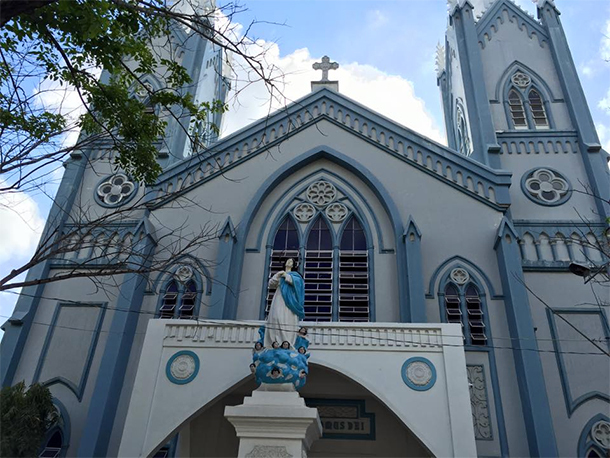 The church was built on the 1800’s in honor of Puerto Princesa’s parton saint. After saying a little prayer, we headed to our next destination, the Plaza Cuartel which is just across from the church. 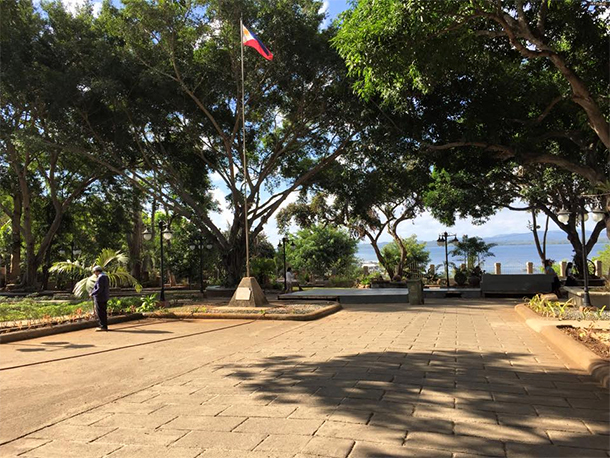 The Plaza Cuartel is once a military defense base during the World War II. There were about 143 American prisoners of war tortured and burned here. Those who survived were able to swim to Iwahig. Today, the area has been transformed into a relaxing park for tourists and locals. 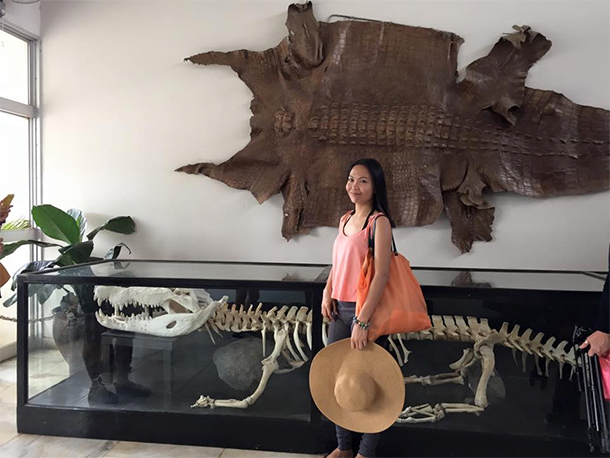 Puerto Princesa is also the home to the Palawan Wildlife Rescue and Conservation Center (formerly known as the Crocodile Farm). 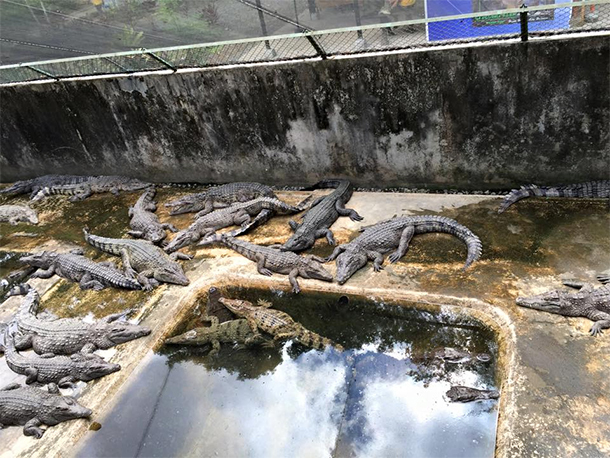 It is a facility that not only conserves two endangered species of crocodiles found in the Philippines – the saltwater crocodile and the endemic Philippine freshwater crocodile – but also conducts further studies on Palawan’s endangered species. I remember the Calauit Safari in Coron which also aims in protecting wildlife. Entrance fee for the tour is at around 40 Php (0.78 USD). The tour, albeit short, was pretty informative. We were led first to the display of one of the largest crocodile (even though it was just a skeleton. LOL) that I’ve ever seen. There were also informative posters inside that you can read. 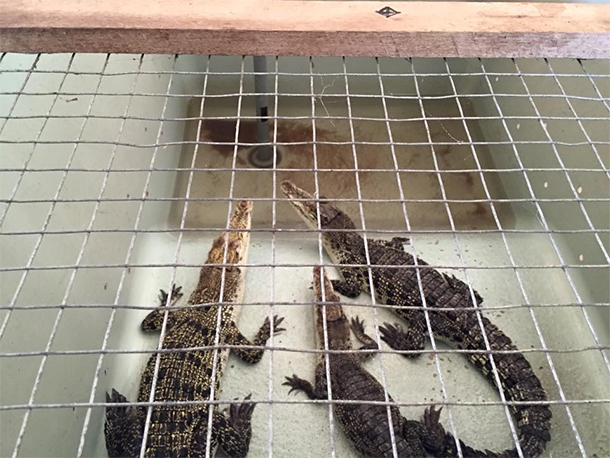 Next stop was the Hatchling House where baby crocs placed on white tubs and are fed. This gave us a chance to see them up close. The bigger crocodiles where kept in a swamp-like area just right after the Hatchling House. We walked on an elevated ledge over the swamp. Here, you can get a better view of the reptiles. It made me shiver a little as I am not a fan of crocodiles. If you want a picture with the crocodile, the conservation center has this. With the babies of course. LOL. Imagine taking a picture with an adult crocodile! Poor little guy, though. According to the staff, they limit the number of persons who takes a picture with them. This causes stress to the little crocodile. After Plaza Cuartel, we visited Rancho Sta. Monica or Mitra’s Ranch.The ranch offers activities such horseback riding and ziplining among others. 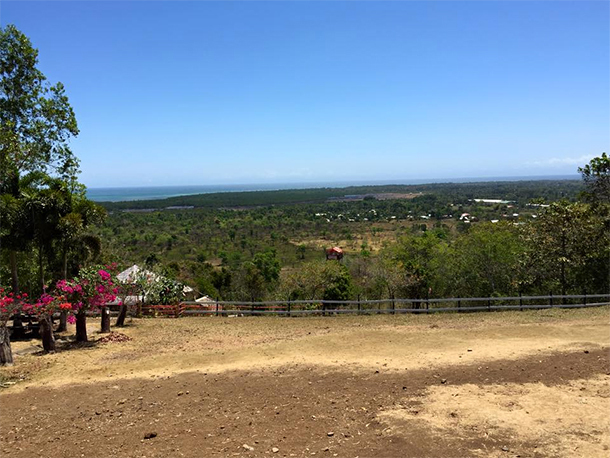 For us, however, we took this opportunity to sit back and enjoy the views of Puerto Princesa from the ranch. It was indeed a great moment! ;). Our last stop prior to heading back to the airport was the Baker’s Hill. It’s like a mini-theme park/ restaurant with fun and colorful landscape and statues. 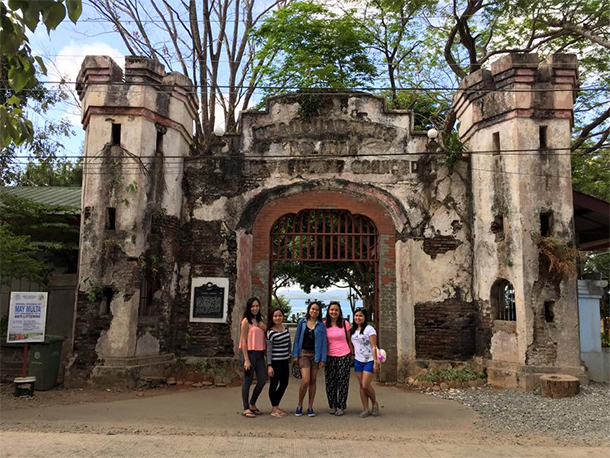 It’s indeed one of Puerto Princesa’s most instagrammable spots with the numerous photo opportunities. Even as grown-ups, we had a great time posing to the camera and enjoying the park. It was like being a kid again! ;). There are several food stops here, as it is home to a few restaurants. We had our dinner here before on our first trip, and the prices were alright for a restaurant. There were exotic food options on the menu, but we declined and chose the usual food that our taste-buds can take. I’m not really a fan – at the moment – for tasting exotic foods. One of their must-try is the Baker’s Hill Hopia which was really yummy! You can purchase it on one of the bakeries here. We had our lunch in a fast food chain near the airport and left Puerto Princesa in the afternoon. 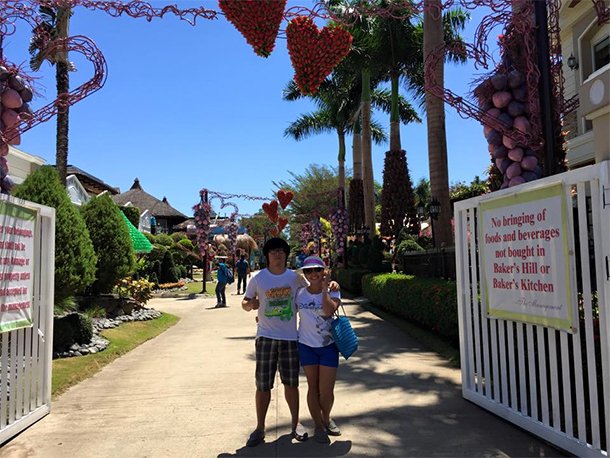 A simple end to our fun-filled getaway! 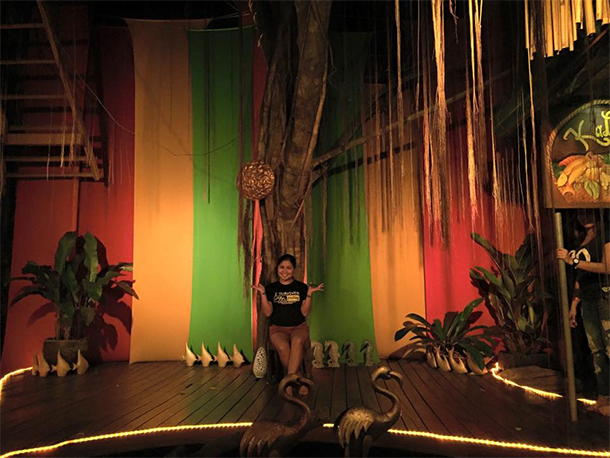 There are still indeed a lot of places that I did not get to visit in Puerto Princesa. But I sure would love to come back and explore more! 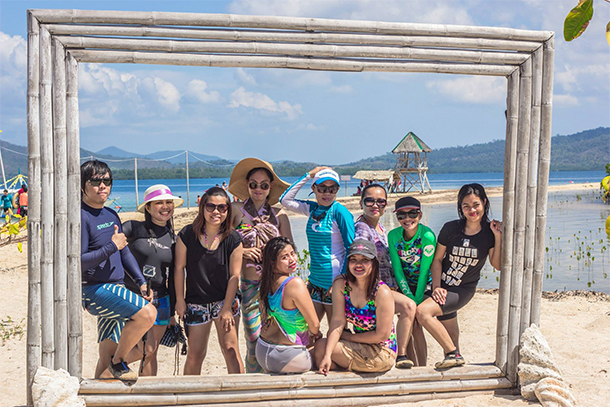 Oh and by way, here’s the video of our fun trip in Puerto Princesa. I hope you like it! Great post, very colourful photos! Thank you Divya Prasad! 🙂 Glad you liked it! Wow, you sure got a lot done in 3 days! Love how thorough and informative your itineraries are. And it looks like you had a lot of fun, too! Aah thanks a lot! Looks lovely, can’t wait to go to the Philippines. We’ve wanted to go to Puerto Princesa however with the recent alarming happenings in this area, we were scared of meeting terrorists accidentally. 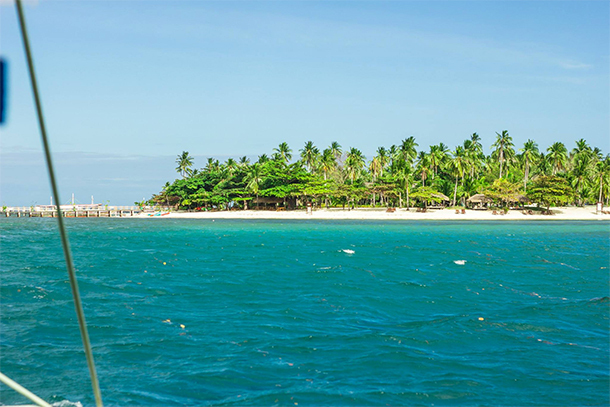 :} This places you visited are no doubt beautiful and island hopping is a must-try activity. I understand why you’re hesitating a visit and all that. I guess, these threat are inevitable almost anywhere. We just need to be extra careful 🙂 Palawan does have a little bit of something for everyone! Wow there is so much to do! And I love the turtle-shaped cottage thing, that’s so cool 🙂 Thanks for sharing what looks like a very colourful experience! 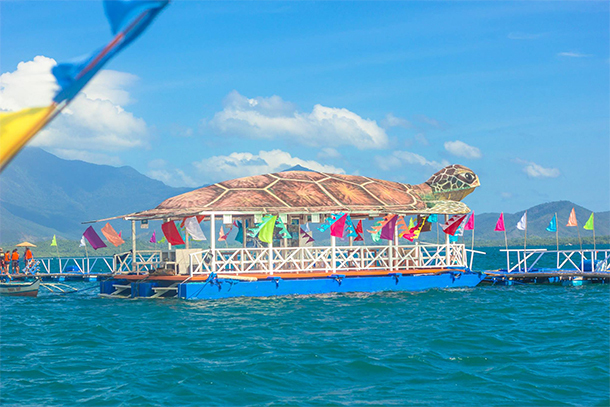 You’re welcome.. 🙂 The Pambato Reef does really stand out with its turtle for a roof. 🙂 You should see the corals here. They are beautiful too!! That looks like such a fun & and adventure-filled place! It would be great to visit one day. I enjoyed your post as well as your photos. To be honest, I am jealous and would like to Palawan soon after I read your post. Palawan has been one of our dream destinations within the Philippines. I think it is the most famous attraction in our country. That is really some exciting stuff you did in 3 days. So much to see and experience, I am sure there never was a dull moment. Though all the things you have listed out sound really thrilling, I am fascinated by cruising the underground river, sounds so interesting. Yes it was.. I felt that there are a lot of things that we still need to try though. 🙂 The underground river cruise was indeed one of the highlights of our trip. It was amazing! Marvi, what a detailed post! I’ve never been to Palawan, but this looks like such a beautiful place in Palawan! I especially loved your photos from your Island hopping day – the water looks so blue! I’ve never been to the Philippines but the underground river and zip lining sounds like lots of fun, very informative guide! Thank you Helena.. It was really fun. I’m sure you would love it too! I love how you go in groups and how details your posts are! Well done! It looks like you guys had a blast! You packed a lot into 3 days. I loved the Philippines. It would be great to explore Puerto Princessa one day. Thanks for very informative post and great tips. This is such a comprehensive guide! So helpful! The Philippines are high on my list and your guide will be so useful. I’d love to go zip lining here! Many to plan their trip.. thank you sharing . 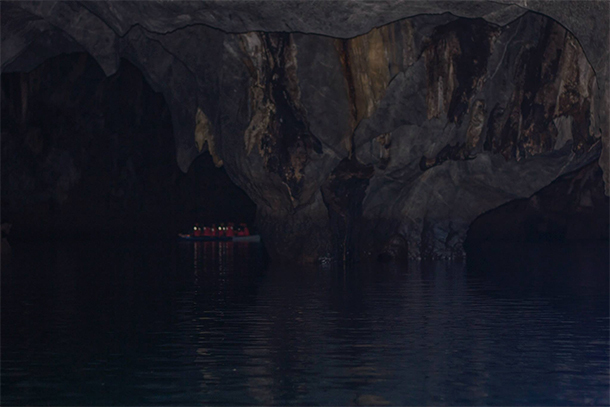 Great tip to pre-book the underground river tour! Puerto Princesa is always described as a “pit stop” on the way to Coron, but it looks like there are ton of things to do here! Puerto Princesa looks like an awesome place to visit. I love its nature, the vibrant culture and everything! Love to visit there one day. Puerto Princesa is truly a natural gem. I have been lucky enough to go as well, too bad we skipped the city tour. But I loved spending time at the Baywalk and the island hopping. The beaches are one of the most beautiful I’ve seen! Palawan is so beautiful and I’ve heard just SO MANY amazing things about the place. 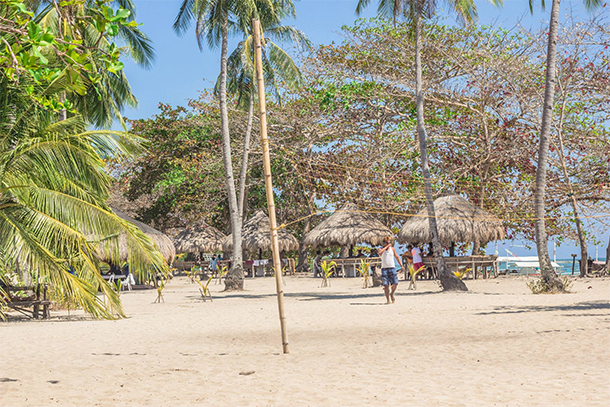 Puerto Princesas looks like a great place to have some fund adventures. I’ve heard about the underground river and would love to visit! It must be like another world for sure. I love to take bike tours of new places, so Biking at the Baywalk would be right up my alley! We did most of these during our 3 days in Puerto Princesa in 2011. For you Palawan might be paradise, but for outsides, whole of Philippines is a paradise! Your entire country is so blessed with the bounty of mother nature! Ugong Rock, the underground river is all just spectacular!!! Wow! There’s so much to see and do — an underwater river, crocodiles, ziplining, beaches, and city tours. Certainly there is something for everyone and for every interest! I would just love going into the caves on a kayak. That would be an incredible moment. Tried that in Krabi but had to pull out as we were not having any guides with us. Super interesting post! 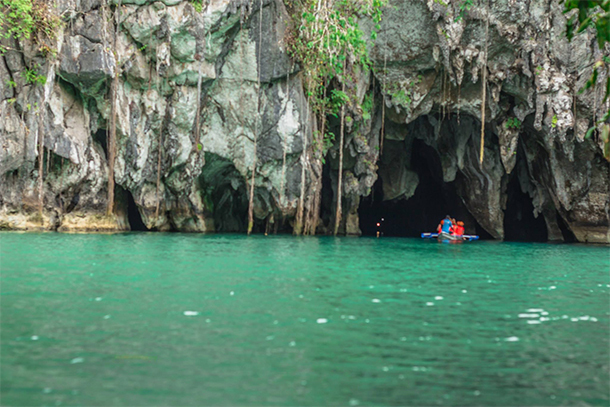 I definitely want to visit and see the underground river – it reminds me of a cave we went through in Ha Long Bay! Maybe one day soon! What an informative post! Thank you for sharing ❤️ Will definitely visit Palawan when i get back home to the Philippines next year March. Ive been to El nido but my mum’s been telling me to visit puerto princesa as well. Looks like there’s a lot of adventure in store for me in this place! Whoa what a busy and exciting itinerary! Love the pictures and detailed post. My friend told me that the Puerto Prinsesa is the most beautiful destination in the Philippines. Almost all of the tourist are there. I hope some day, I’m going to experience what you shared from us. What a beautiful place and so many interesting spots to explore! I really hope to visit Puerto Princesa one day! Thank you Suzy…I hope you do get to visit! Yes we did.. 🙂 It is indeed so scenic! That underground river tour looks amazing — although I don’t know how I feel about rappeling down rocks like that! And I just love the idea that you can rent a bicycle and ride around the Baywalk. That seems like such a fun, relaxing way to see a bit more of the city. What a beautiful place and so many interesting spots like rock climbing , water sports , biking, etc to explore! I really hope to visit it one day! You’re right – this place is truly paradise! I have to visit one day! 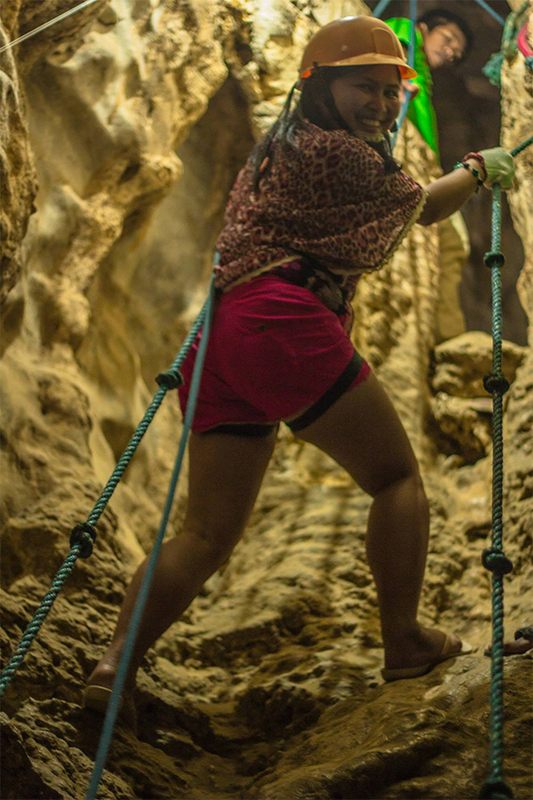 The cave tour looks awesome, I did something similar in Thailand. I will love to do ziplining and island-hopping. I prefer the activities you had than shopping and eatting non-stop! Way more meaningful and memorable! Wow! I really really wish I could’ve visited Ugong Rock! I love more adventurous activities and to be honest, I wasn’t impressed by the Underground River simply because it was so “contained.” Wish I had your guide went I went to Palawan! Wow! that was such a great trip and itinerary. I have not been to Puerto Princesa might want to make a trip there with mu friends. very informative post, may we know what travel agency did you get? Hi! U have experienced such an amazing trip! Please help me plan for our next trip to puerto princesa. 😊 do we really need to contact an agency? Which agency do you prefer? Or is it ok to just do it by ourselves? We are on a tight budget. Ty!